Crank up the intensity to build lean muscle and strip fat. If you don't think bodybuilding workouts are intense, you're doing them wrong. While you might think that lifting weights is only good for building muscle or getting stronger, this is far from the case. A tough, balanced bodybuilding workout can strip fat far faster and give much better results than a few sessions on the elliptical or the odd aerobics class. An intense bodybuilding workout will make your old cardio workout seem like a walk in the park. How often you train depends on a number of factors, with the main one being how many you can fit in each week. Typically there are two paths to take with bodybuilding workouts. Two to three total body sessions each week is best for beginner bodybuilders or those looking to strip fat, advises strength coach Marc Perry of BuiltLean.com. The other option is body-part splits, which involves focusing on two or three muscles per workout and training three, four or even five times a week. You'll find that full body workouts are more demanding mentally and are intense for your whole body, whereas split training causes more localized fatigue in the muscles you're working on the day. Want intensity? Then you need to think very carefully about what exercises you perform. Anyone can knock out a few sets on the leg extension or spend half an hour flitting between random upper-body machines, but to ramp up the intensity, pick multi-joint free-weight and body-weight exercises. These include squats, deadlifts, lunges, any type of dumbbell or barbell press or row, chin-ups, pull-downs, pushups and dips. These types of exercises give more bang for your buck, strength coach Nia Shanks observes. 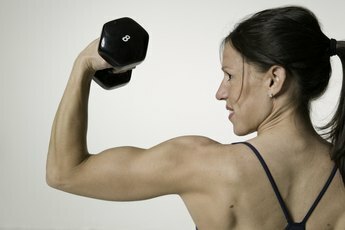 They hit more muscle fibers, burn more calories and are generally far tougher than isolation exercises or machine work. There's no excuse for a bodybuilding workout getting too easy. If you're not finishing a session dripping in sweat, red-faced and begging for your bed, you're not working hard enough. To crank up the intensity, you can try certain techniques. Rest pause sets work brilliantly, Shanks notes. For these, perform as many reps as you can on a given exercise, rest for 25 seconds then aim for a few more, rest another 25 seconds then get a last couple of tough, grueling reps. Supersets can also spark new muscle growth and give your workout an added, evil challenge. Pick two exercises and perform them back to back with no rest in between. For example, in an upper-body workout, instead of doing three sets of 10 bench presses, then three sets of 10 rows, do 10 bench presses and immediately jump into your rows. Rest for 60 seconds and repeat the superset three times. To maintain the workout intensity, you have to progress. It doesn't matter how you progress, just make sure that there's an improvement from workout to workout. Say you squatted 95 pounds for three sets of eight last week, with 75 seconds rest between sets. This week you could try 100 pounds for three sets of eight, or stick with the same weight and do three sets of nine, four sets of eight, only taking 60 seconds between sets, or do exactly the same weight, reps and sets but use better form by going lower. Progressing between every session is a surefire way to maintain intensity.